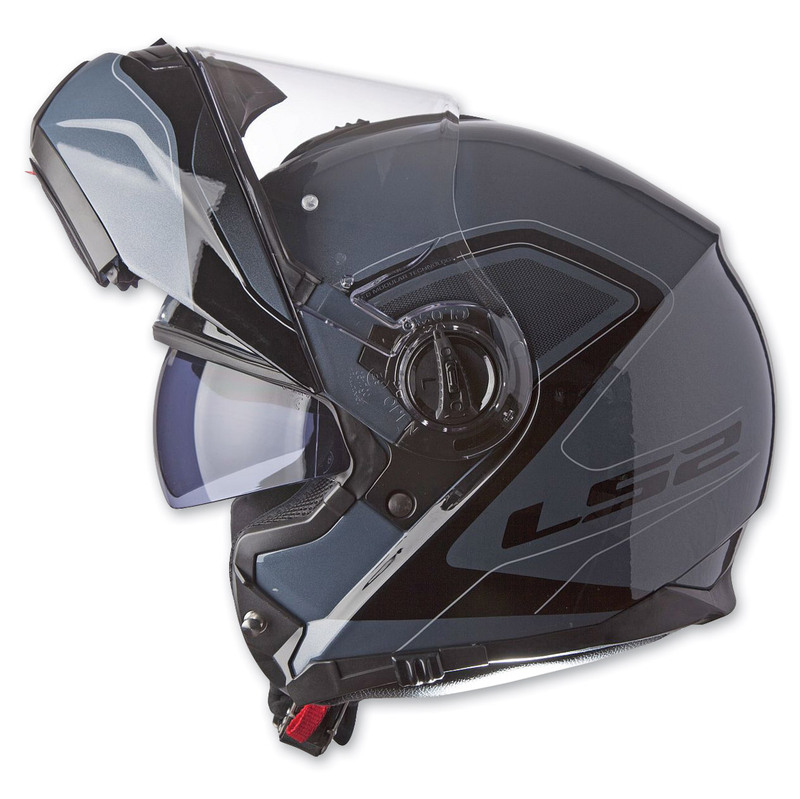 This modular motorcycle helmet has LS2s Twin Shield System sun shield, so you get the sun protection you want, and can quickly get more light when entering a tunnel or darker area. The Strobe uses a slide and cable technology to engage the sun shield smoothly, offering ease of use and less wind noise. The face shield is optically correct, scratch resistant and has LS2s ShortShift Tool-less Quick Release, making it easy to change whenever you need and the breathable fabric liner wicks moisture, and the 3D laser cut foam liner and cheek pads are removable and washable. The LS2 Strobe is so comfortable, youll forget you have it on. Q: Can you give me the weight of this helmet. Are there any reviews ? We put a medium size on the scale and it was 3lb 8oz. Q: does LS2 make an electronic heat shield or snowmobile shield that will interchange with the motorcycle shield? 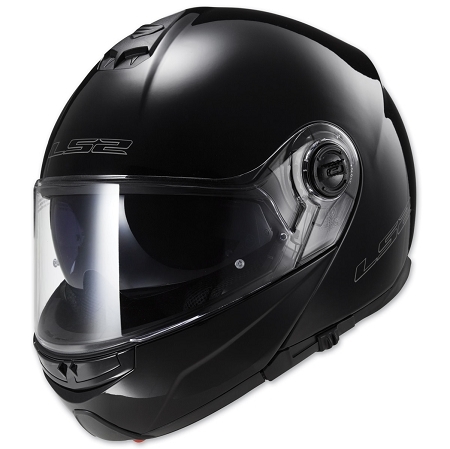 Q: Does this helmet accept headsets for Harley Touring bikes? A: We can install a headset in any helmet, what matters is the type of headset. 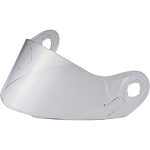 For example a full face headset will not fit in a half helmet or a 3/4 helmet or vice versa. 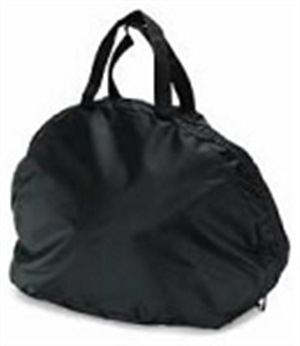 We can recommend different headset options 1-800-630-6434. Q: does the inner visor have an external opening capablity. is the correct way to mesure for fit around the forhead? 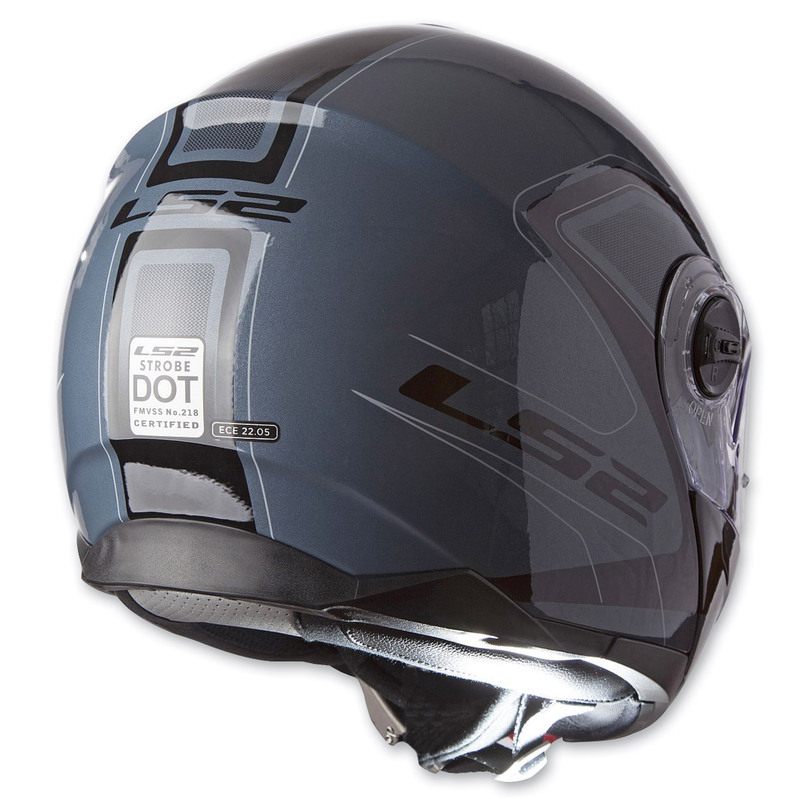 A: Yes, the LS2 Strobe Modular Helmet has an external slider on the base of the left hand side that allows the wearer to raise and lower the internal sun shield. To properly fit your motorcycle helmet, you should take a measurement around your head about 1 inch above your eyebrows. Measure twice and use the larger of the 2 measurements. Use the sizing chart to calculate the manufacture's recommended size. 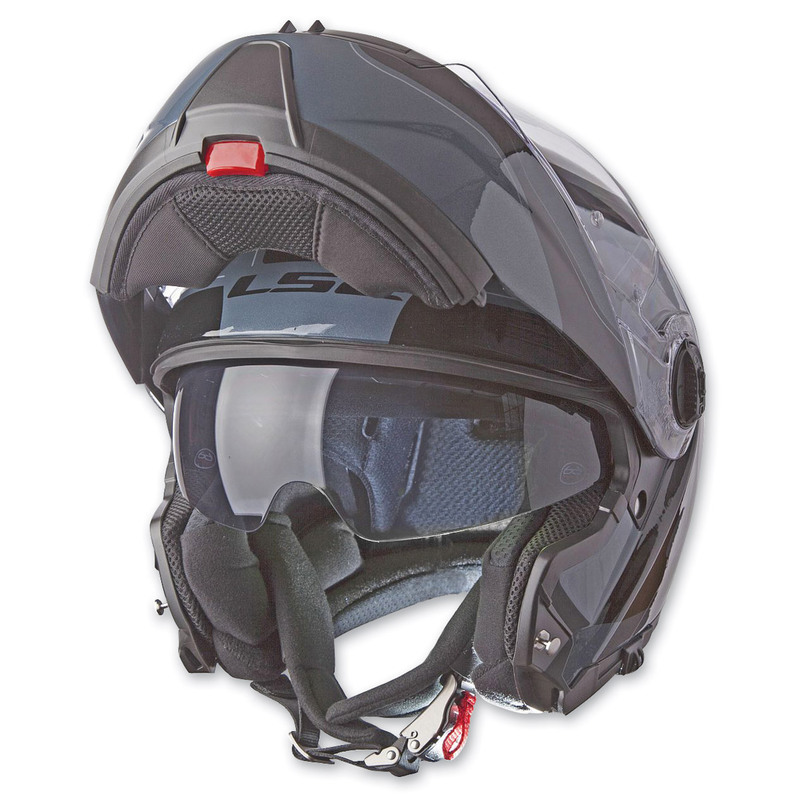 Q: Can intercom speakers be installed in these helmets?